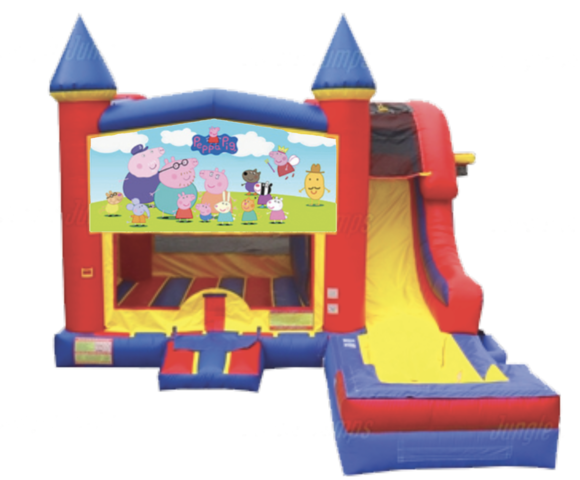 Hours of fun will be had with Peppa! Kids will love to run, snort, bounce, snort and make the other animal noises of their favorite characters with this this Peppa Pig water combo! This combo offers bouncing, shooting hoops, climbing, sliding down the waterslide into a splash pool and an additional hoop on the outside of the unit for extra fun!